Mix Series is the new way to have ONE bottle of E-Liquid, but with the favorite nicotine strenght you want! How it's possible?  a PURE Neutral Base 10ml available in various nicotine formats. In this way, you have only to decide the nicotine strenght of the PURE Base, and you will be able to customize the nicotine strenght of the final product without changing the final flavor.